Fredrik Colting, a Swedish author who was sued by J.D. Salinger’s estate several years ago for publishing an unauthorized sequel to “The Catcher in the Rye,” has once again been sued for repurposing an iconic work by a dead writer.This time, he is facing a legal complaint from four literary estates, representing a pantheon of influential 20th-century novelists.The estates of Arthur C. Clarke, Jack Kerouac, Truman Capote and Ernest Hemingway, with the publishing houses Penguin Random House and Simon & Schuster, have filed a copyright lawsuit against Colting and his wife, Melissa Medina, for releasing illustrated children’s books based on those authors’ works. In an email Thursday, Colting argued that KinderGuides were intended as educational guides, similar to SparkNotes and CliffsNotes, and as such bring added value to the works and do not violate copyright. But the two publishers and the authors’ estates took a dim view of that reasoning. via Author who turns classics into children’s books is sued | The Seattle Times. The UK children’s book market grew more than 7% in the first quarter of 2016, according to Nielsen Books. Kids books are therefore on track to have a “very good year”, especially considering the market grew 5.1% in 2015 from 2014, when sales hit an “all time high”, she said. Children’s books accounted for 24% of the TCM data (total consumer market) in 2015, compared to only 15% of the total market in 2001, and the two biggest-selling genres in the category last year were children’s fiction and novelty and activity books. Young adult (YA) saw a decline in 2015 but that was mainly due to the fact that 2014 sales were boosted by Veronica Roth’s Divergent series, said Swope. The YA market is actually diversifying, with debut authors getting more of a look in thanks to prizes, citing Lisa Williamson’s recent win at the 2016 Waterstones Children’s Book Prize in the best older fiction category for The Art of Being Normal (David Fickling Books), she added. Customers are also paying more than ever before for children’s books, with the average selling price of a kids title at £5.40 in 2016, boosted by titles such as Egmont’s Blockopedia and Bloomsbury’s illustrated Harry Potter and the Philosopher’s Stone. The big publishers still dominate the market. In fiction, Penguin Random House (PRH) Children’s has 30% of the market, followed by HarperCollins Children’s Books (16.3%). PRH is also the biggest publisher in picture books with 22% of the market, with Macmillan coming in second (13.8%). However, Andersen Press, Nosy Crow, Bloomsbury and Usborne all saw double digit growth and are “ones to watch”, said Swope. via Children’s book market up 7% in first quarter | The Bookseller. The show’s proximity to the London Book Fair (which is taking place this week) didn’t appear to dampen attendance, which was up more than 9%, according to BCBF officials. Several publishers and agents PW spoke to were continuing straight on to London. Next year’s fair is scheduled for April 3–6, which puts it after the London Book Fair (March 14–16) for the first time since 2007, and well before the Easter holiday on April 16.
via Bologna 2016: Wrapping Up a Quietly Busy Fair. Wild Rumpus, the arts organisation behind immersive events such as the Just So Festival, is to start publishing children’s books after launching its own press. Sarah Bird, one of the directors of Wild Rumpus (along with Rowan Hoban), said she wants to publish “visual, engaging, inspirational, delightful books” through its new publishing arm, entitled Wild Rumpus Press. The company raised more than £3,000 through a kickstarter campaign to fund the new press and the publication of the first book, Two Parts Mischief (p/b, £10.00), with text by Geoff Bird and illustrations by Hoban. 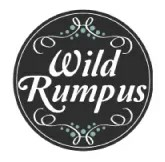 via The Bookseller Festival company Wild Rumpus launches children's publisher | The Bookseller. Recent reports about the performance of children’s book publishing have been consistently promising, so the news that Barefoot Books is to close down its UK/European operations comes as a surprise. Kings Road Publishing will see Templar Publishing, Weldon Owen and Studio Press relocate from Dorking in Surrey to Chelsea in London, where Blink Publishing is based, from 14th September. All four imprints have been under the control of Blink m.d. Perminder Mann, who becomes m.d. of Kings Road Publishing. The four imprints will sit under the new holding company name Kings Road Publishing, a division of Bonnier Publishing. As part of the reorganisation, there have been a number of redundancies mostly in administrative areas. Bonnier would not give exact figures, but said there were less than five redundancies. Mann has also appointed two new people to the division, who started this week. Andrew Sauerwine, previously at Penguin Random House, is the new UK sales and marketing director for Kings Road Publishing, and Kari Tavendale, previously at Egmont Publishing, joins as brand, licensing and digital director. via Bonnier creates Kings Road Publishing | The Bookseller. Children’s publishing vet Jennifer M. Brown is stepping into the role of VP, publisher at Knopf Books for Young Readers, an imprint of New York-based Random House Children’s Books. Brown spent a decade immersed in the world of kids books as the children’s reviews editor for US-based trade publication Publishers Weekly. She is currently the children’s editor of Shelf Awareness, a daily e-newsletter for the bookselling and publishing trade, and she is director of the Center for Children’s Literature at the Bank Street College of Education in New York. Prior to Publishers Weekly, Brown was a children’s book editor at HarperCollins. via Random House imprint names new publisher » Kidscreen. Macmillan Children’s Books has acquired a children’s book by Emma Donoghue, author of adult bestseller Room. The Lotterys Plus One is a middle-grade title about Sumac Lottery, a girl with six siblings, two mums, two dads. The family all live together in a big Victorian house they all call Camelottery. When Sumac’s racist and homophobic grandfather nearly burns his own house down, he has to move in, causing tension within the family. Venetia Gosling, publisher of the 6+ division at MCB, acquired world rights (excluding the US and Canada) to two books from Donoghue, from Caroline Davidson of Caroline Davidson Literary Agency (CDLA UK). via Emma Donoghue pens children’s book | The Bookseller. 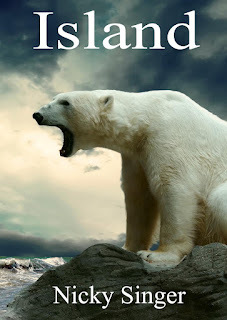 Nicky Singer, who launched a Kickstarter campaign to fund publication of a novelisation of her stage-play Island just over a week ago, writes compellingly about her reasons for doing so. Like Slow Food, and even Slow TV now, Slow Books will be about those quiet, deep things beneath the current market shout of the world. And I have this quiet dream that, one day, Slow Books will gather together writers from all over the world with such stories to tell. And then, maybe, there will be whole shelves of Slow Books. And people who care about such things will walk past the glittery branded covers knowing that, on the Slow Books shelf, they will find something worth dreaming about. via Notes from the Slushpile: Slow Books.